It’s been a while since I’ve done a Wardrobe Re-Wear. These are my favorite posts, but at the end of the semester, it was just too hard to get one done. Now it’s back, but I’m switching things up a little–I’m taking a black turtleneck from a recent post and showing you another way to wear it. 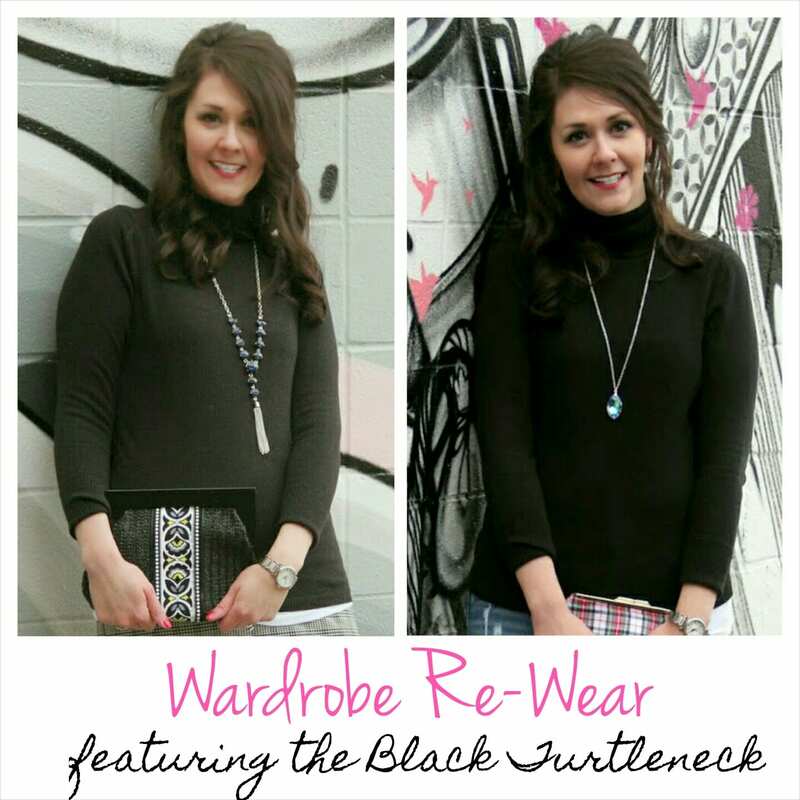 A black turtleneck is a must-have basic wardrobe piece that never goes out of style! As with any basic piece, a black turtleneck can be worn for a variety of occasions. This outfit was recently featured as part of my post about Kushyfoot. You can see more pics and get outfit details here. For the office, I love pairing a black turtleneck with a patterned skirt and boots. It’s a very put-together look that will keep you warm in the winter. You can quickly transform your outfit into a date night one by switching the skirt for some distressed jeans. Here, I swapped the accessories and shoes as well to completely change up the look. I came so close to passing up these jeans when I spotted them on the clearance rack at J. Crew Factory, but I’m so glad I came to my senses before I left the store. Photos are by my awesome friend, April Brooks. She does photography on the side. If you’re interested in contacting her, please let me know. 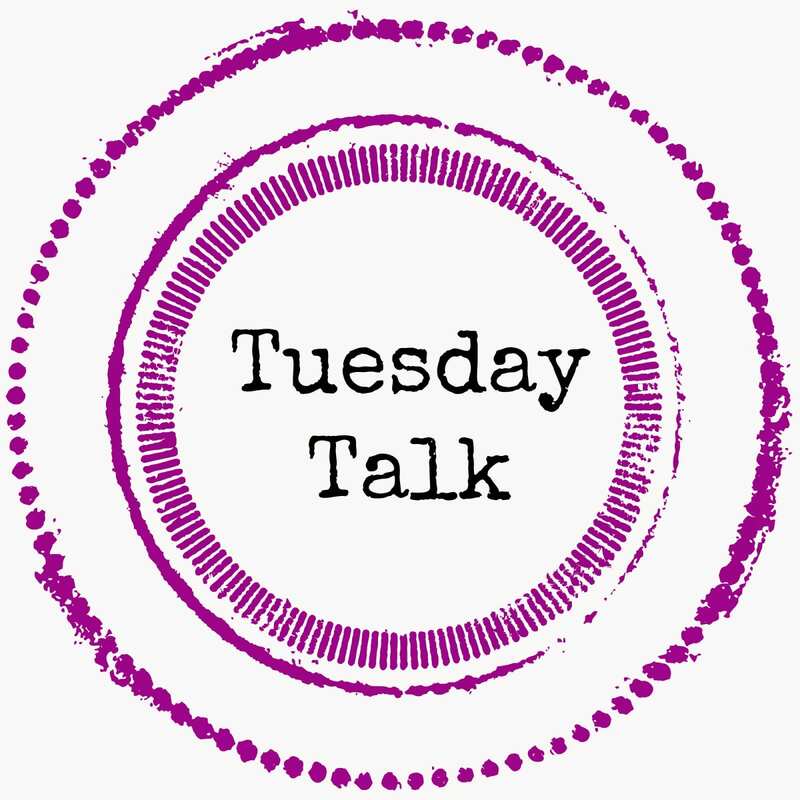 I’m linking up for Tuesday Talk (just a little bit late). Don’t forget to come back on Friday for the #H54F linkup!!! Love the wardrobe re-wear. I adore that clutch and those jeans look amazing! Looking good! 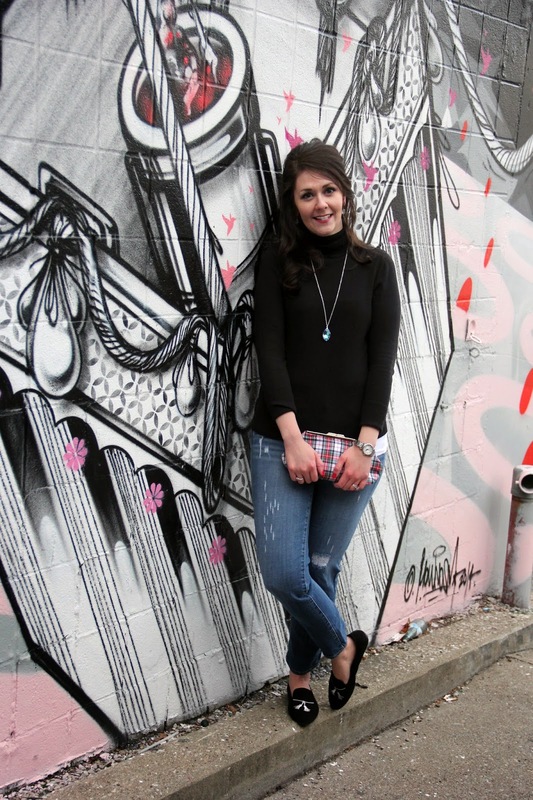 I love versatile clothing items and its perhaps why I love black clothing so much! Such a versatile piece! I love it! A black turtleneck is a must have piece! 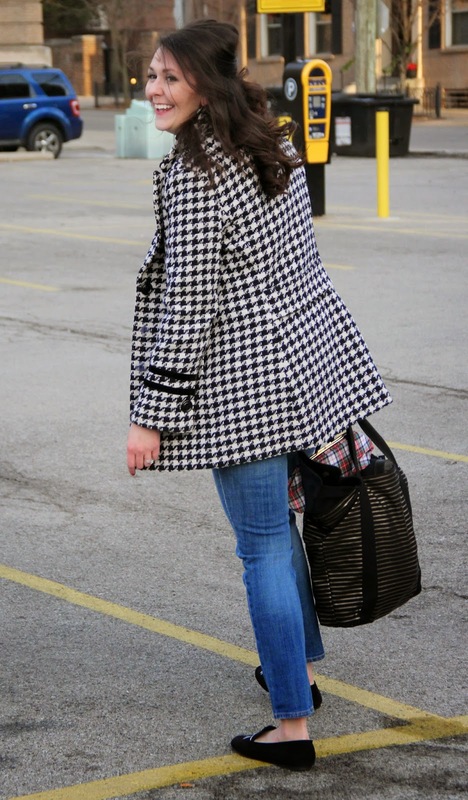 Love seeing both ways you styled it! 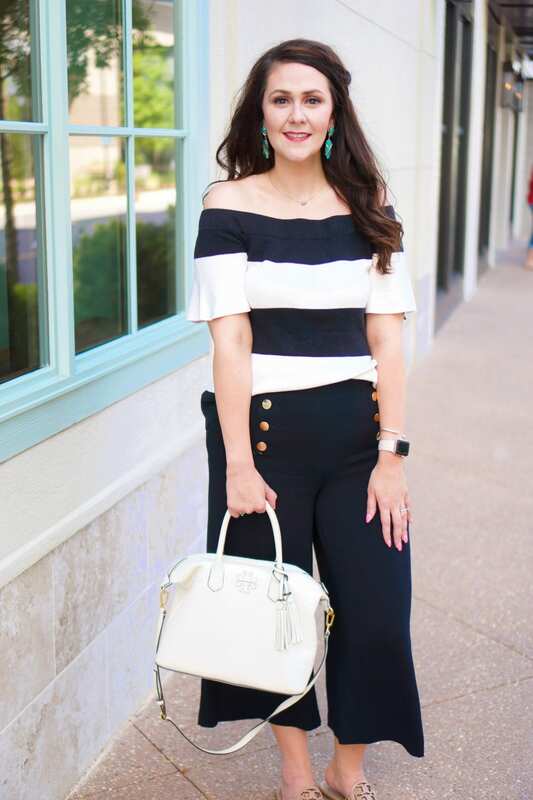 Your date night look is super cute! So cute! 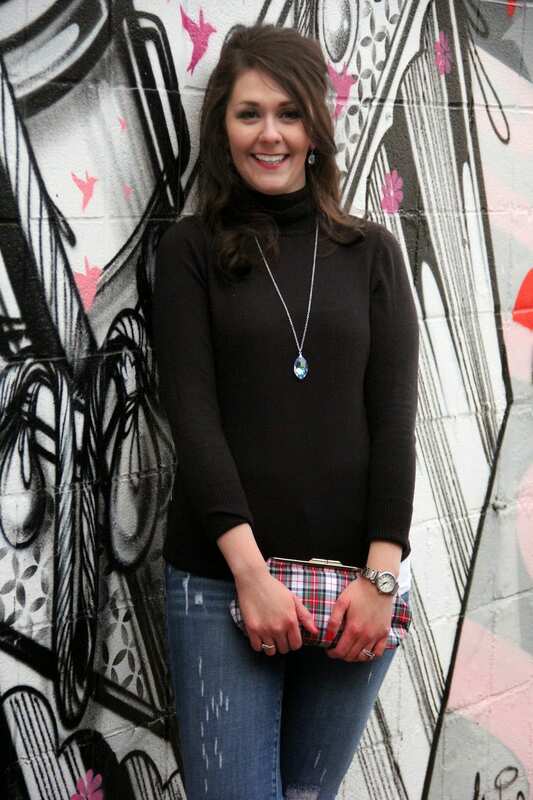 I am also LOVING that plaid clutch. I kind of have a plaid obsession. Adorable! I need to remember to use some of the different clutches I own when going out with hubby…I get busy and forget! I LOVE how you transitioned a work look to be a date night look. I'm all about multi-purpose outfits! I agree that everyone needs a great black turtleneck!! Besides the amazing outfit choices (and the great pictures! Love them! ), those tasseled shoes. Adore!! These are my favorite posts. Love when you do them!